For more than a few years now, the Buffalo Sabres have been bad. Not just missing the playoffs by a few points and not performing to their full potential bad, but consistently bottoming out and getting a top-10 pick bad. This past off-season, they shook up the back office and their roster alike, and had hoped to be a playoff contender at this point in the season. The exact opposite has happened, and they now find themselves at the bottom of the league. 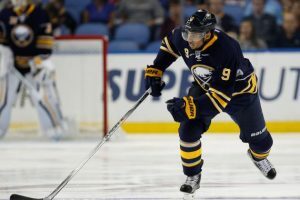 With things being as poor as they are, are the Buffalo Sabres really this bad? Buffalo finished last season 26th overall in the league, with a record of 33-37-12 and a mediocre 78 points. Through 55 games this season, they currently sit at 16-30-10, with a measly 42 points. They are 30th in the league, second-worst to only the Arizona Coyotes, who have 36 points. 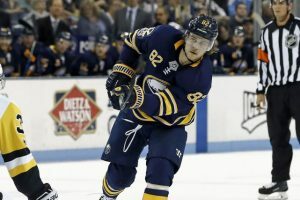 Once again at the bottom of the Atlantic Division, the Sabres are faced with a crisis: why are they once again drastically underperforming, and what do they have to do to get out of this spot? The Sabres’ forefront problem, contrary to popular belief, is not their core. 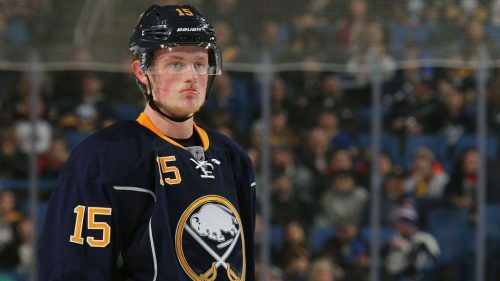 Unarguably the best players and consistent heartbeat of the team, the core of Jack Eichel, Ryan O’Reilly, Evander Kane, Rasmus Ristolainen and Robin Lehner have done their respective parts this season. Eichel is having a career year, sitting at just under a point-per-game with 22 goals and 31 assists for 53 points through 55 games. O’Reilly, who had a painfully slow start to the season, has heated up relatively since then, with 17 goals and 23 assists for 40 points on the year. Kane, arguably the Sabres top winger, is having a decent year, scoring 18 goals and 20 assists for 38 points, with their other core winger Okposo putting up 9 goals and 24 assists for 33 points. Given that these four forwards account for a majority of the Sabres’ offense, they might be in for a painful final stretch of this season. Their star center Jack Eichel sustained a high ankle sprain in-game against the Boston Bruins on February 10th, and is labeled as “out indefinitely.” Evander Kane is pegged to be moved before the trade deadline, which limits his time in Buffalo to before the end of this month, and given they’ve already had their fair share of injured roster players thus far, they do not have the resources to fill any empty spots. 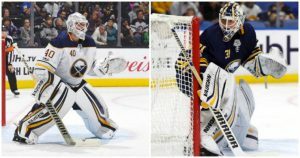 All future possibilities and man games lost aside, examining the rest of the Sabres current roster sheds light on their ailments to-date this season. Former 2nd-overall pick Sam Reinhart has still failed to show the promise that Sabres fans had hoped he would, and has only collected 11 goals and 16 assists for 27 points this year. Fan favorite Jason Pominville, a core part of the Sabres several years ago before he was traded and brought back this season, has disappointed, scoring just 9 goals and 11 assists for 20 points. For Reinhart and Pominville, who were expected to be second-line producers, this has been a massive down-year. First-year GM Jason Botterill brought in a plethora of bottom-six forwards and role players in hopes of filling out the roster for the better, but those additions have done anything but. Benoit Pouliot, Jordan Nolan, Scott Wilson and Jacob Josefson have combined for 31 total points over the course of the season, a totally underwhelming number given their expectations. Bottom-six regulars Zemgus Girgensons, Johan Larsson and Evan Rodrigues have combined for only 29 points. One area in which the Sabres focused much of their attention during the off-season was defense. Botterill traded for left-shooting Marco Scandella, who was set to pair with top D-man Rasmus Ristolainen. Scandella has played well defensively, and is contributing about as much offensively as expected, with 1 goal and 14 assists for 15 points. Ristolainen, who started slow but is picking it up as of late, has 4 goals and 21 assists for 25 points. After these two D-men, things start to fall off. Two notable off-season pickups, Nathan Beaulieu and Victor Antipin, have been virtually invisible for the whole season. Beaulieu, for whom the Sabres gave up a 3rd-round pick, has just 1 goal and 4 assists for 5 points. The Russian defenseman Antipin has yet to score a goal, and has just 5 assists. Zach Bogosian has spent much of the season injured, and callups Justin Falk and Casey Nelson are not in the lineup consistently enough to make an impact. For probably the most re-tooled area, this might be the most dysfunctional part of the Sabres roster. On the goaltending front, eccentric starter Robin Lehner has been just okay. In 42 games played, he is 12-21-7 with a 2.90 GAA and .910 SV%, with 3 shutouts. Admittedly, Buffalo’s defense is prone to giving up a lot of shots from high-scoring areas, and Lehner cannot be expected to carry the team when they are giving up 35 shots every night. However, Lehner is prone himself to letting in weak goals, and when watching Sabres games it is pretty typical that one easy one gets by him. Backup Chad Johnson has been shaky when called upon, playing in 20 games this year going 3-9-3 with a 3.57 GAA and .886 SV%. Just like most of the players on this team, the goaltending could be a lot better. Another glaring problem is the Sabres’ special teams. Their power play sits at 17.0%, good for 24th in the league, while their penalty kill sits at 78.6%, good for just 22nd in the league. No team with special teams in the bottom third of the league has much chance at all of consistently winning games, and with their even-strength performance being just as bad with a total goals per game rate of 2.4, and goals against per game of 3.3, poor special teams accentuate their woes even more. So, what are the primary ailments of this team? For starters, their core players are underperforming. They are not playing bad, but they certainly aren’t playing great. And aside from Jack Eichel, no one is playing consistently to par. Second, they have virtually no secondary scoring at all. Familiar and new faces alike, no one in the bottom-six is having the impact they were expected to. Third, the defensive core has been bad. The top D-men and the role D-men have not performed like they should. Fourth, injuries and coaching decisions have ensured that the lineup is different every night, and that is harmful to chemistry, point-producing and charisma. If a player has no stability or consistency, how are they supposed to improve? Along with that is poor special teams play. It is hard to “click” if there is no chemistry. Fifth, goaltending has been below average and largely inconsistent for much of the season. These are the main concerns for the team at this point in the year. Given this analysis, are the Buffalo Sabres really this bad? My answer: yes and no. Their core players are fine. They are just about as good as any other typical core in the league. If they line up their centers of Eichel-O’Reilly-Reinhart to be a 1-2-3 punch down the middle, that could be threatening. Add Casey Mittlestadt in the mix down the road, and that’s dangerous. Trade and develop better wingers after shipping out Kane, and you could have a deep pool of offensive output. Their defense, to be good in the future, has to be re-tooled and healthy in order to gain chemistry and tighten up in their own end. They also need to bring in Brendan Guhle for good next season, in place of Jake McCabe or Falk. Goaltending might be the hardest to solve, but I say give Linus Ullmark the nod next season and watch him flourish, through good and bad. The Buffalo Sabres are bad, but they are not doomed. There is always room to improve.